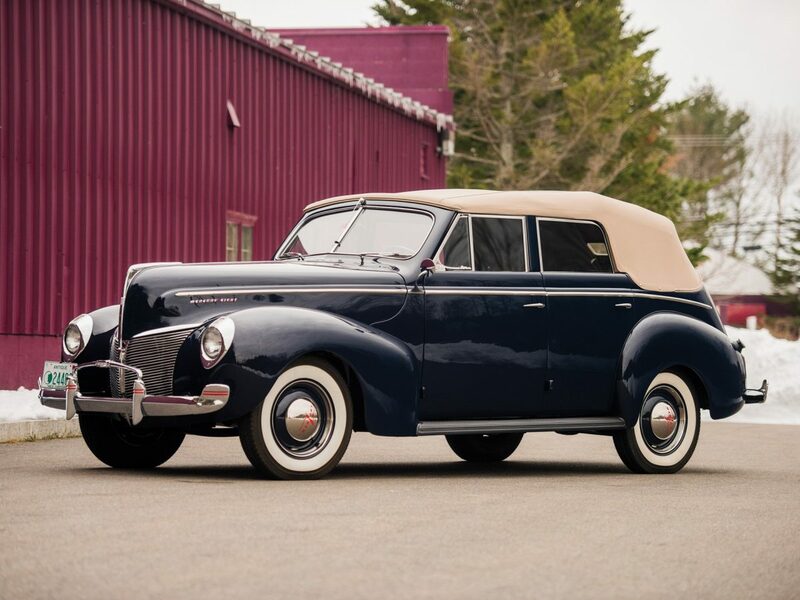 Exceptional restoration of this one-hit wonder--the only year Mercury offered a convertible sedan. This car was in the Bruch collection in Washington State for more than 30 years. Features Columbia overdrive axle. Factory radio, with windshield heater antenna, hot water heater, correct fog lamps, an electric clock and dual cowl-mounted outside mirrors. The tan canvas top and brown leather interior were professionally restored. Coker Classic radial whitewalls.